89 years ago, on Monday, March 20, 1922, actor/comedian Ray Goulding was born in Lowell, Massachusetts. Though he is best-known for his work in radio, Goulding (with comedy partner Bob Elliott) starred in several TV specials and series. Ray Goulding in the studios of WOR (AM) in December 1974. Ray Goulding started his career as an announcer on WLLH radio in Lowell around 1939, and then moved to WEEI in Boston just a year later. 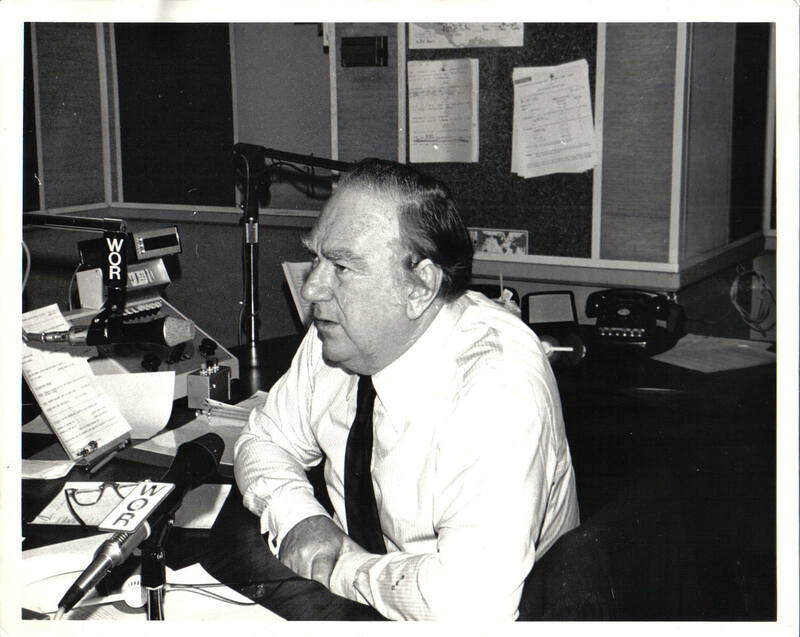 After serving in World War II, Goulding was hired to read the news for a morning show hosted by Bob Elliott on WHDH in Boston. That fateful pairing would result in a 15 minute radio show called “Matinee with Bob and Ray” and eventually their partnership as the comedy team of Bob & Ray. Bob Elliott & Ray Goulding in the studios of WOR (AM), December 1974. Their television careers began on Monday November 26, 1951 when “Bob & Ray” (or “The Bob and Ray Show”) premiered on NBC. Joining them in sketches and spoofs in this 15 minute program was Audrey Meadows. She was replaced by Cloris Leachman, who was then replaced by Audrey Meadows. The show lasted two years. I had the pleasure of meeting Bob & Ray on three separate occasions. The first time was in December 1974 in the studios of WOR radio. The comedy legends were nice enough to agree to be interviewed by 3 junior high school students. I was one of them. If you look closely we’re wearing “Wally Ballou for Mayor” buttons given to us that day by Bob & Ray. 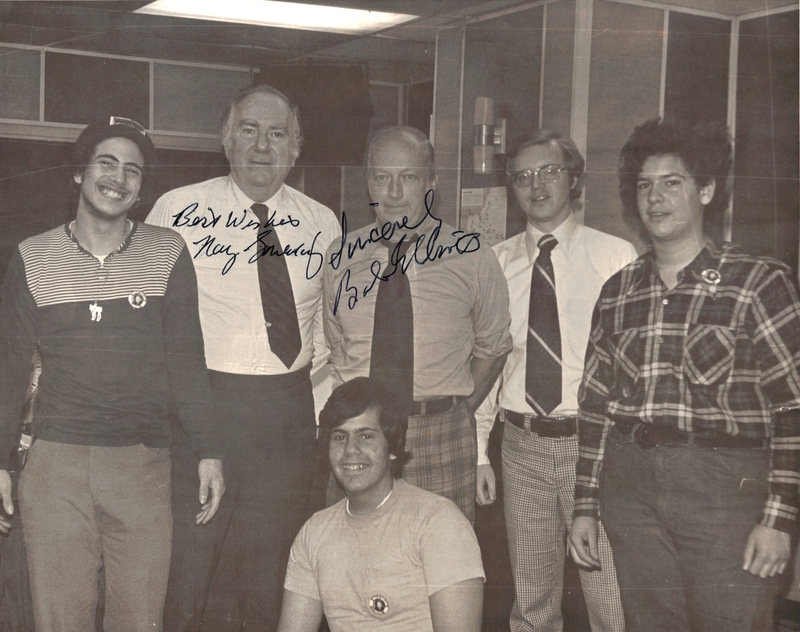 Bob & Ray in their WOR radio studio, December 1974, joined by students Sami Kenigsberg, Paul Messina, and Jerry Seigerman. The second time we met was in 1979. The photos we took in 1974 gained us access to Bob & Ray’s dressing room after their masterful performance in the NBC late night comedy special “Bob & Ray, Jane, Laraine & Gilda.” That’s when Bob & Ray were kind enough to autograph these photos. 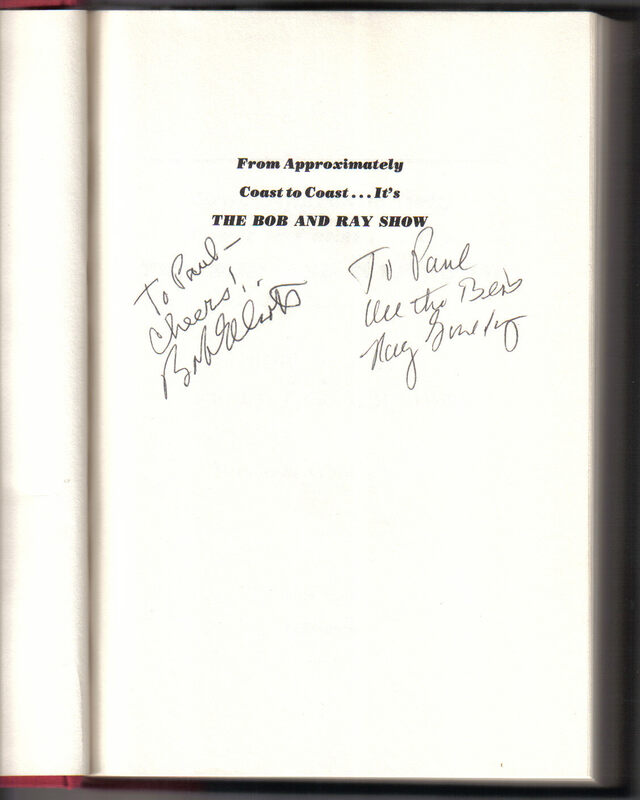 From Approximately Coast to Coast… It’s The Bob and Ray Show published by Atheneum in 1983. The third, and last, time I met Bob & Ray was in 1983 when they came up to WPIX-TV to be interviewed about their newest book; From Approximately Coast to Coast… It’s The Bob and Ray Show. I was working at the station at the time and made sure I bought a copy of their book beforehand so I could get another set of autographs. (And yes, I showed them the photos from 1974 to let them know we’d met before). Rarely does one find geniuses to be so gracious and courteous. 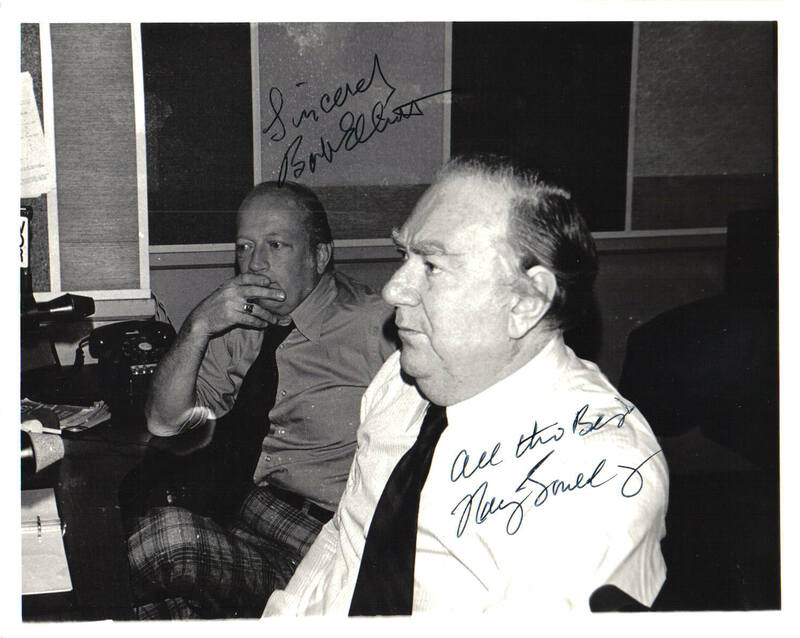 Bob Elliott and Ray Goulding were inducted into the National Association of Broadcasters Hall of Fame in 1984. 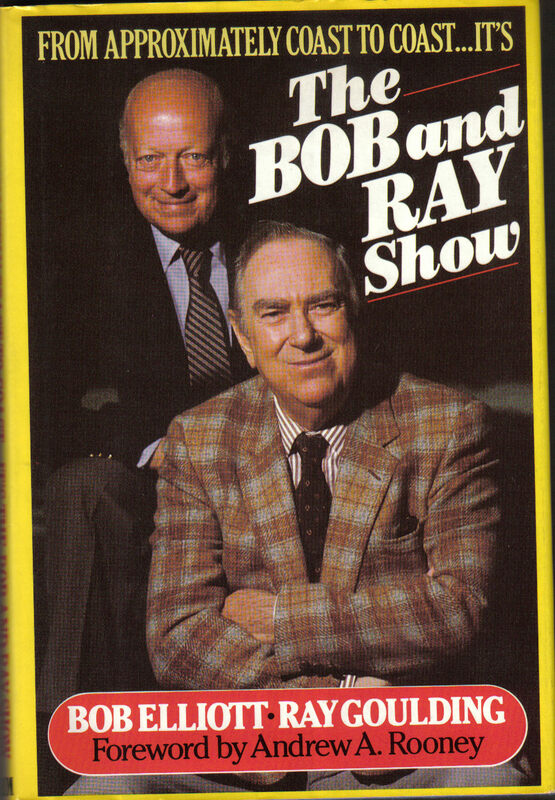 “The Bob and Ray Show” was inducted into the Radio Hall of Fame in 1995. Ray Goulding died of kidney failure in 1990. He was 68. Bob Elliott is alive and well and living on Long Island. He will turn 88 next week. But today we honor Ray Goulding for bringing laughter to my world and the world of television.